Real busy this morning with show prep for my Principle Gallery show. I deliver the show in a mere two weeks and I am at that point in the process where there is so much going on that it seems impossible that it will all come together. Paintings are still getting their final touches and being photographed, frames are being stained, matting being cut and so on. I thought that for this morning I would replay a post from back in 2009 about one of my favorite artists, Pieter Bruegel (1525-1569), with the addition of a video featuring more of his work added at the bottom of the page. Take a look and enjoy the images. 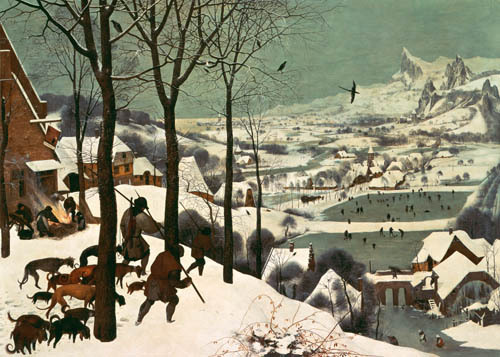 I am totally in awe of the work of Pieter Bruegel the Elder, the patriarch of the great Flemish family of painters. There are so many paintings of his that I could show that would be equal to those I chose for this post but I find these particular pieces striking. There is great richness and depth as well as a tremendous warmth in his colors. I always feel enveloped in his paintings as though they wrap around me like a blanket, particularly his peasant pieces. This piece above depicting the Tower of Babel has always excited my imagination beyond the actual biblical story. I’m always reminded of the Gormenghast Trilogy from Mervyn Peake when I see this image and wonder if it had any influence when he was formulating the story for his novels. The scale of the building and the way it dominates the composition is breathtaking. 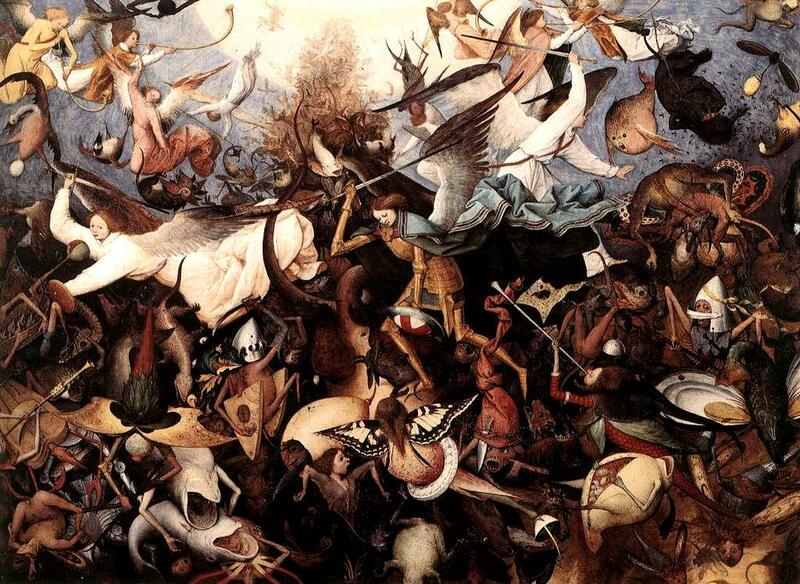 His earlier allegorical works seem to have been heavily influenced by Hieronymous Bosch and have incredible energy. He had an ability to take multitudes of forms and scenarios and bring them together in a way that had great rhythm, lending almost an abstract quality to the overall scene. I find these paintings quite beautiful despite their sometimes jolting imagery. 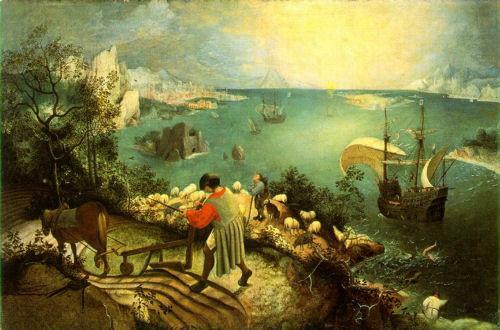 That Icarus painting is one of my favorites, partly because of this wonderful poem. 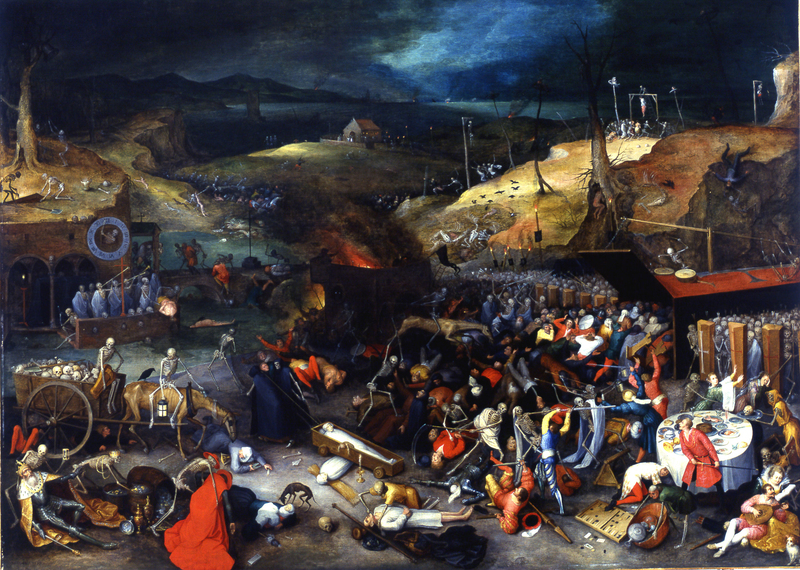 I think that many of Bruegel’s paintings are like that– the drama that takes place, little noticed, while people are simply going on with their lives. I hope it all comes together beautifully for your show and wish you all the very best! I see what you mean about Gormanghast with the tower of Babel painting. For me it reminds me of Jackson’s design of ‘The White Tower’ (Minas Tireth) in the third Lord of the Rings film ‘Return of the King’ . I wonder if it was an influence there too? Yes, I can see what you’re saying about the White Tower. Interesting.